Why anyone would be asking if Mrs May can learn from her past failures beats me. If she does not realise by now that she might as well have been negotiating with the Taliban over the past two years, and that more chinwags with Juncker will take her no further, then she never will. If she ever had any intention of doing so. The question that should be on everyone’s lips after another week of her pointless and tax-wasteful travel agenda – another act of an endless charade in her astonishing determination to keep going – is who is she still kidding? Apart from herself, clearly far too many. They include her Cabinet and the now wobbly-looking European Research Group (led by an apparently easily seduced, welcome-inside-the-Number-Ten-tent Mr Steve Baker) which loves to think May has finally learned the lesson. Yet a delay in special measures which the ‘Malthouse agreement’ means that they are uniting behind would further drain business confidence in the interests of scuppering Brexit. And still the government would not be making the no-deal contracts or commitments necessary to help those industries that might be temporarily negatively affected by a return to WTO. It also seems to include those in the media still explaining what brought us to such a pass to find ourself at the receiving end of the EU’s studied insults, as well those who think it necessary to rebut Donald Tusk on his own terms. It isn’t, though it’s good to remind ourselves of dreams. The man the UK is up in arms about I suspect doesn’t sleep much at night. As President of the European Council, Tusk is in charge of an EU perilously near recession with no monetary or fiscal defences, a contagious Italian bank debt and, as Ambrose Evans-Pritchard wrote yesterday, in a worse crisis than anybody expected. That, with his growing fear of the UK Parliament not falling into line with Mrs May – for one reason or another – explains his dramatic talk of dispatching Brexiteers to a ‘special place in Hell’. This is all apart from the unnecessary backstop and indefinite customs union commitment, based on a bluff about the Good Friday agreement that Evans-Pritchard gives further evidence of in his article. While this threat wears ever thinner, MPs have yet to be made to answer the many other specific questions the WA raises – on money (a transition bill of £89billion could be near the mark), control of our laws, tax, trade outside the EU, trade with the EU, the Common Agricultural Policy (CAP) and Commons Fisheries Policy (CFP), EU institutions and the questions about the economic consequences of ongoing uncertainty of years more transition and negotiation, which thanks to Mr Malthouse could extend the ghettoisation of the UK to three years, a period in which our economy would be greater in jeopardy than already and our position weaker from which to negotiate free trade deals. These are the successful diversions that have allowed Mrs May to continue to slither, slide and threaten away from the showdown we must have, now, with the EU. It comes better late than never, though it is a tragedy she did not listen, two years ago, to the advice given by the former Greek Finance minister and economist, Yanis Varoufakis – and he should know. The last thing you do, he warned her, is to go in there and say: ‘I’m triggering Article 50 and I am going to get my way’. Make no mistake, he said, there will be no negotiation. He was right – there hasn’t been. He predicted that the EU would have to make an example of Britain, and warned that, no matter how stubbornly Mrs May insisted on a deal beneficial to the UK, it would not comply. Did May I wonder never watch the demonstrations in Athens as the Troika in effect annulled the result of the Greek elections which elevated Syriza? Britain had a choice – but it did not take it. It chose the hard way, raising the question of why, discussed here, and that we have speculated on ourselves. Now, though, it is clear for all to see that attempts at conciliation have led only to greater intransigence. Instead of accommodating us, the EU, in the persons of Selmayr, Weyand, Tusk and Guy Verhofstadt, are doubling down. As Andrew Cadman predicts in TCW today, they appear to be in the process of planning their Counter Reformation. It is ironic that after two years of painful, self-flagellating and costly non-negotiations, we are about to find ourselves back at square one. 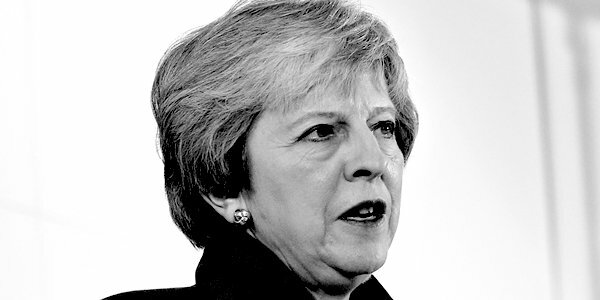 Two wasted years, however, is nothing to the cost to the country of signing up to May’s Withdrawal Agreement – amended or not. Charles Moore and Ambrose Evans-Pritchard are surely right: Mrs May simply cannot fight this fight and therefore she, not Donald Tusk, is now the UK’s main foe in all this. No large country in modern peacetime history has ever signed a treaty document of this kind yielding fundamental sovereign powers for ever. This is what she would have us do. If there was one time when one should not have thought ‘Beware of Greeks bearing gifts’, it was when ignoring Varoufakis’ advice. They had better heed Ambrose Evans-Pritchard’s now.